Even celebrities can get starstruck. It’s a natural state of human emotion. But the people who make your favorite people all weak in the knees can be a little surprising. Who knew, for instance, that Taylor Swift had a thing for Patrick Stewart and Ian McKellan? Or that Stephen Colbert could be such a nerd about everything Lord Of The Rings related—McKellan included, of course. 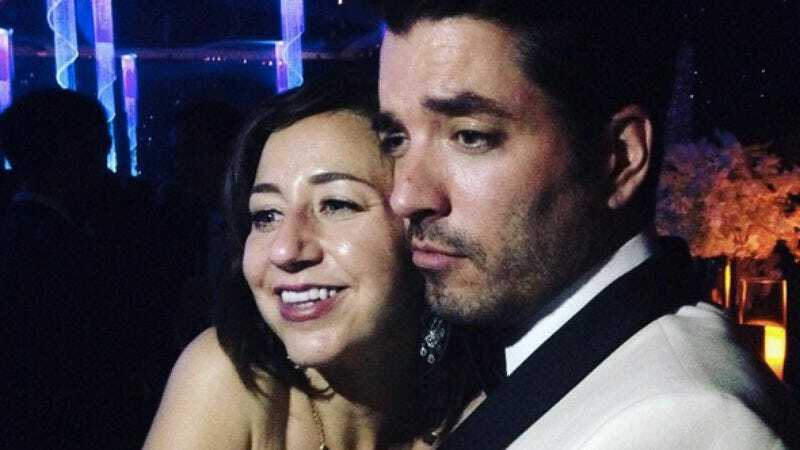 One of the biggest surprises to come out of the Emmys—other than Amy Schumer winning—was just how many celebrities are into Drew and Jonathan Scott, the stars of HGTV’s Property Brothers. Yes, that show’s a hit for the channel, with the charming Canadian twins even earning several spinoffs. And yes, a lot of celebrities probably have HGTV in their trailers and hours upon hours to kill, but, wow. People really like the Property Brothers. Jeez. Though the brothers themselves posted a number of pictures from the awards—which they were there both because they were nominated and to sort of cover the event Entertainment Tonight Canada, a thing that you didn’t know existed but that most certainly does—some celebrities went full Property Bro themselves on their own feeds. A collection of those random shots is below, and while it’s certainly cool and/or sensible that (the totally married) Kristen Schaal would be into the brothers Scott, you’d think she’d be more into Drew than Jonathan, right? Drew’s the sensible realtor, and while it’s respectable that Jonathan is handy, that ladies’ man attitude has a tendency to just read a little sleazy. Think about it, Schaal. Just think about it.